Late in November 2015, David Haines drew my attention to a striking gill fungus he had found just below his house at Culkein Drumbeg (NC1133). Bright orange caps, each about an inch across, were growing in clumps on a patch of bark and sawdust, where conifer logs had been stacked prior to being sawn up for firewood. I later collected a couple of specimens and took them to Bruce Ing for identification. 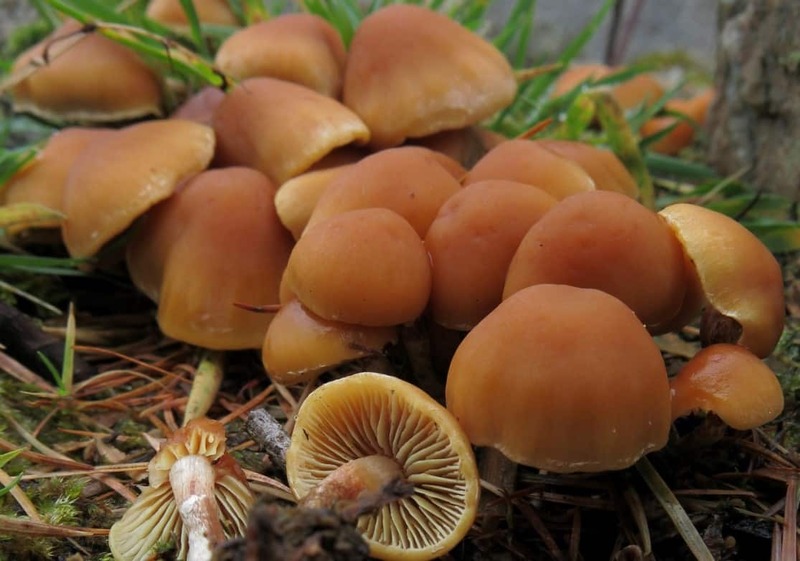 It has since been named by Bruce as the Redlead Roundhead Leratiomyces ceres, formerly known as Stropharia aurantiaca (the name under which it appears in Roger Phillips’ useful photographic guide). It occurs in the autumn on rotting sawdust or bark mulch, and may well be widespread in the British Isles on this substrate. However, the National Biodiversity Network shows only a few records, with none from Scotland, and Bruce has suggested that this could be the most northerly record so far. 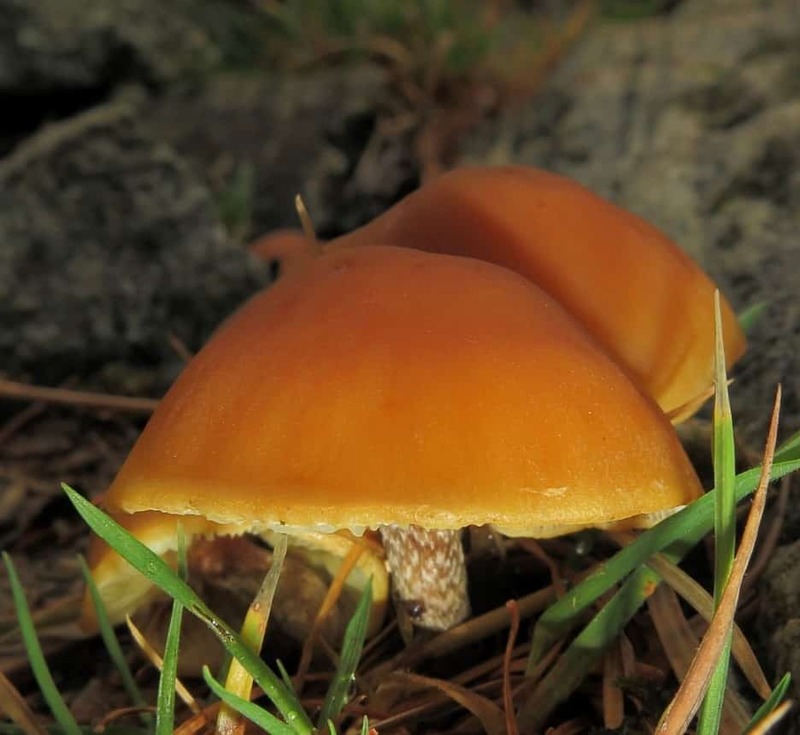 Diagnostic features include the orange caps, which are sticky when fresh, whitish stem with a fragile ring and tiny scales, and dark purplish-brown spores. The species is thought to have arrived here relatively recently and is also found elsewhere in Europe, and in North America, Australia and New Zealand; it is not known where it originated. And in case anyone asks, it may be poisonous!